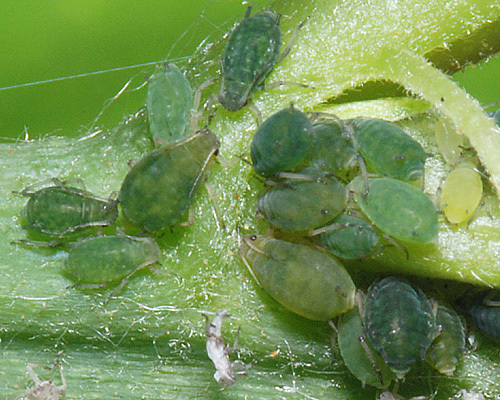 Aphis ruborum apterae (see first picture below) are commonly dark blue-green in spring and pale yellow-green in summer. Dwarf apterae (0.8-1.0 mm) occur in late summer. The abdominal dorsum is mostly pale and membranous. The siphunculi are pale but with dusky bases and apices, and 1.1-2 times the length of the cauda. The antennae and legs are pale. 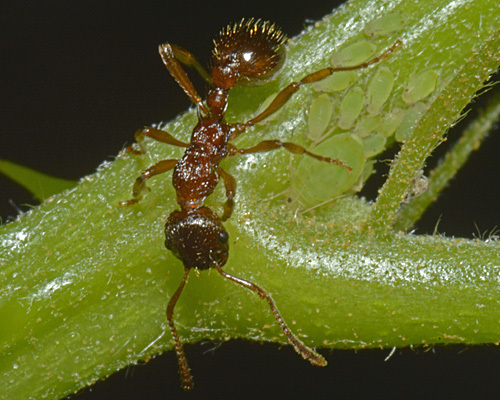 The body length of Aphis ruborum apterae usually varies from 1.1-2.2 mm. Aphis ruborum alates (see second picture above) are dark or pale green with have some pale faint dorsal bands and dark siphunculi. 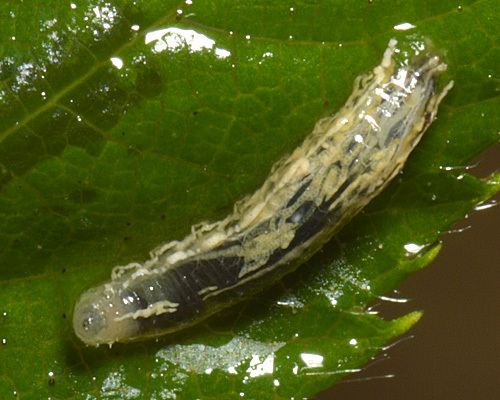 The image below shows an adult aptera in alcohol. 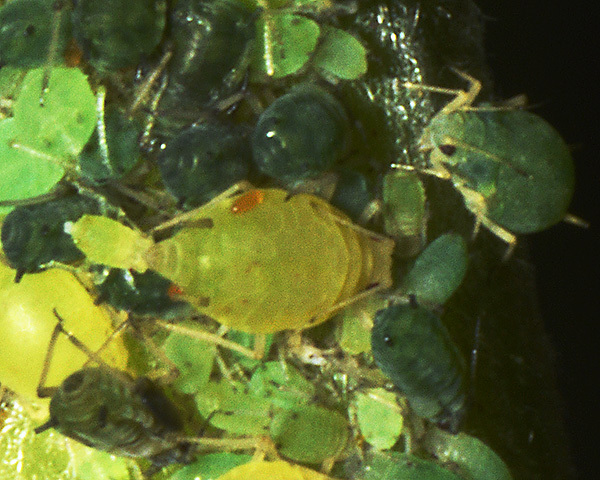 For further assistance in identifying Aphis ruborum see INRA. 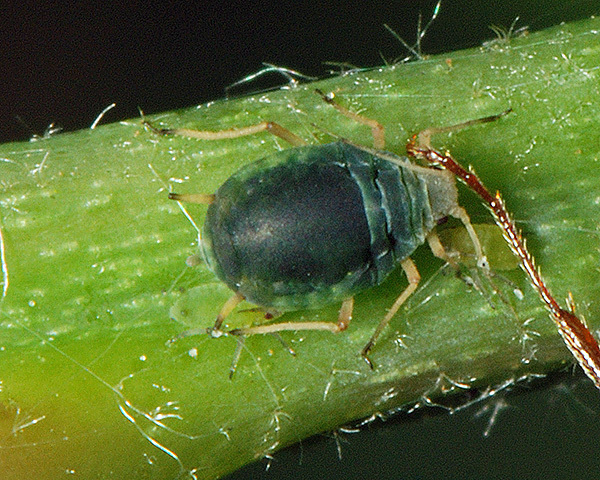 The small bramble aphid does not host alternate. Aphis ruborum feeds on blackberry (Rubus fruticosus). It is also found on loganberry and rarely on strawberry. 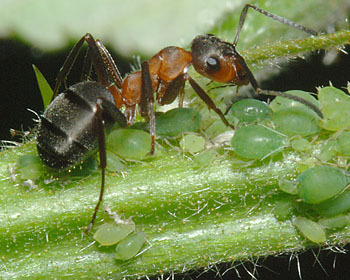 In early summer it lives in dense colonies, is ant attended and causes leaf curl. 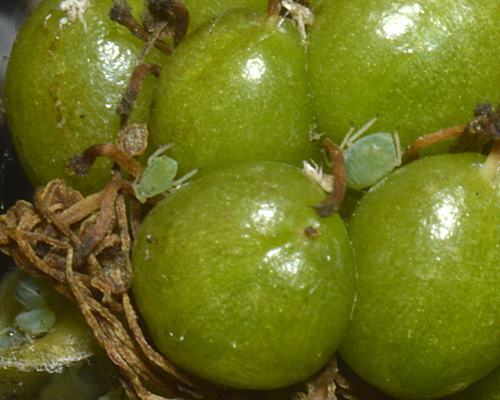 In late summer dwarf apterae may be found living singly on the underside of the leaf between the veins. Sexual forms occur in autumn. Aphis ruborum is widely distributed through Europe into North Africa and central Asia. In spring dense colonies of Aphis ruborum develop on the young shoots of blackberry (Rubus fruticosus agg.). The darker green forms seem to occur mainly in spring, but this is by no means invariant. Both colour forms can be found for much of the summer and sometimes even together in the same colony. Examination of a large number of our photos suggests that the variation in the shade of green of the small bramble aphid is related to maintaining crypsis on the host plant, as the plant stem and leaf colour varies through the year. Hille Ris Lambers (1950) notes that numerous alates appear in the second generation of the year. These disperse to other bramble bushes. Later in the year they can be found under leaves, in flowers (see first picture below of aphids on flower stems) and on developing fruits (see second picture below of aphids on developing berries). 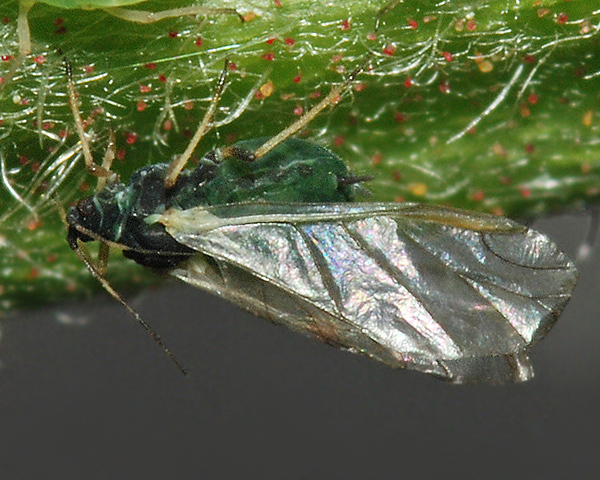 Aphis ruborum spends the winter as eggs at the base of buds. 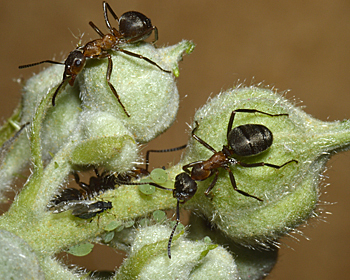 Aphis ruborum is nearly always attended by ants, in the first picture below by a Lasius species, in the second by Formica rufa. The pictures below show Aphis ruborum being attended by Myrmica ants (first), and an attendant Myrmica ant in alcohol (second). The recorded parasitoid spectrum of Aphis ruborum in the West Palaearctic is rich (Havelka et al., 2012). It is composed of Aphidius colemani, Aphidius matricariae, Binodoxys acalephae, Binodoxys angelicae, Ephedrus persicae, Lipolexis gracilis, Lysiphlebus confusus, Lysiphlebus fabarum and Praon abjectum, and supplemented by the introduction of Lysiphlebus testaceipes. 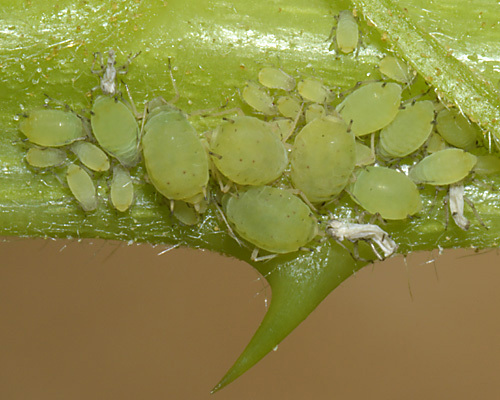 Surprisingly we have only once found large numbers of a colony of the bramble aphid parasitized (see picture below). 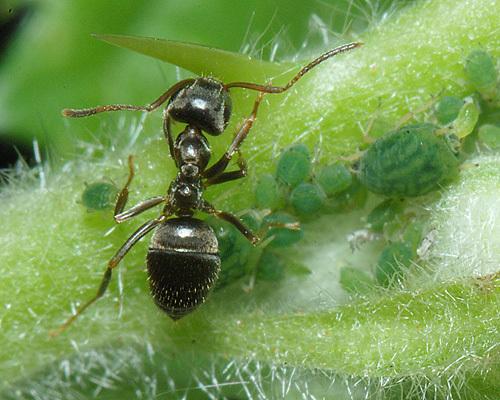 Possibly their attending ants generally keep parasitoids away from the aphids. 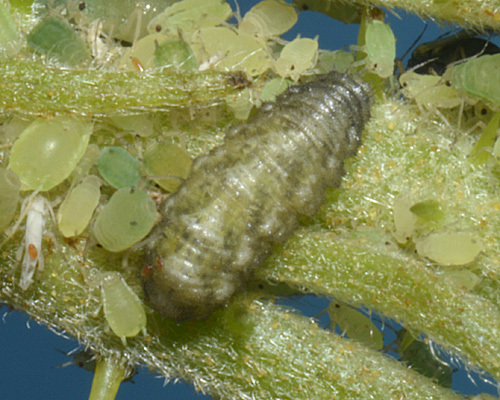 Of the predators, syrphid larvae seem to be the most common, two different species of which are shown below. Using Rotheray (1984) we have provisionally identified the first as Platycheirus scutatus, a species associated with a wide range of ground layer aphids. The second is most likely a Baccha sp. found on low growing herbaceous plants, particularly those in shady conditions. 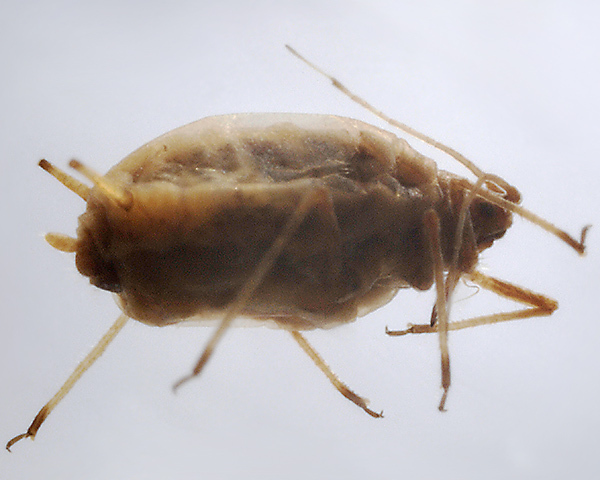 Aphis ruborum are also predated by the larvae of various Cecidomyiidae. 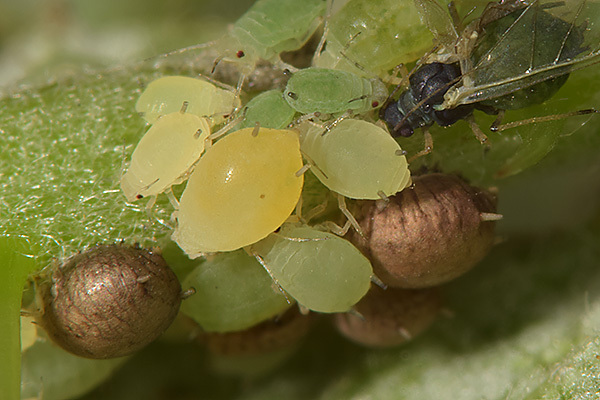 We have yet to find larvae of these, but we have found cecidomyiid eggs either laid directly on to aphids or in their vicinity (see pictures below). Loxdale & Brookes (1989) found that electrophoresis provided an excellent way to differentiate early instars of four of these species, Amphorophora rubi, Macrosiphum funestum, Sitobion fragariae and Aphis ruborum. 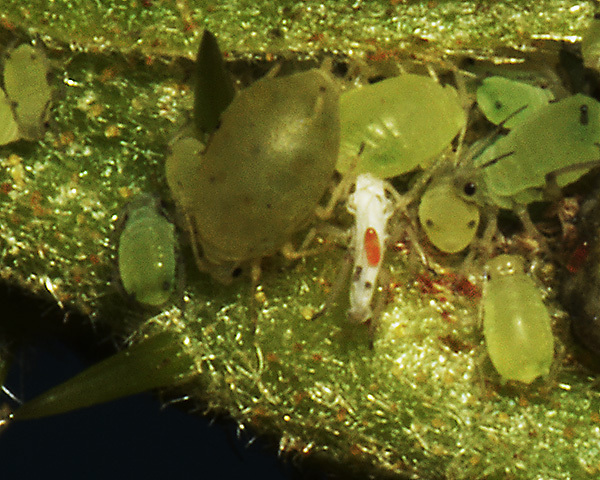 Many of the parasitoids recorded for Aphis ruborum are important parasitoids of aphids of agricultural importance. Havelka et al. 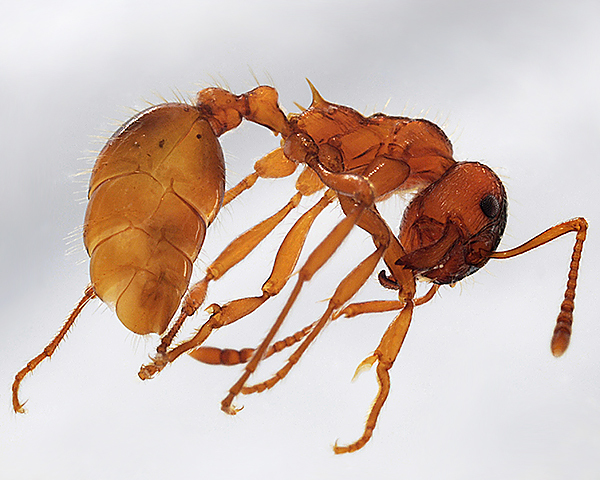 (2012) suggest that Aphis ruborum constitutes a valuable parasitoid reservoir both in Europe and the Americas.